SCHEDULE APPOINTMENT or seeking SECOND OPINION? Complete this form and we will contact you within 24 hours! Robert J. Sollaccio, MD serves as medical director at Mat-Su Valley Cancer Center. Prior to joining Advanced Oncology Associates, Dr. Sollaccio served as Medical Director and Chairman of Radiation Oncology at Florida Hospital Cancer Institute for 20 years. After obtaining his medical degree at the University of Florida College of Medicine and completing a surgical internship at Carraway Methodist Medical Center, Dr. Sollaccio completed his Radiation Oncology residency training at the University of Alabama at Birmingham where he served as Chief Resident for 2 years. He was a strategic partner in bringing innovative technologies in oncology to central Florida. High Dose Rate Brachytherapy, GammaKnife Radiosurgery, Intravascular Brachytherapy, Total Body Irradiation, Intensity Modulated Radiation Therapy, Image-Guided Radiation Therapy, and Stereotactic Body Radiotherapy are examples of new technologies introduced to the community as Medical Director. An active member in clinical research, including Radiation Therapy Oncology Group, Gynecology Oncology Group, and Southwest Oncology Group, he participated as the clinical instructor to Gynecologic Oncology fellows and the University of Central Florida Medical School. 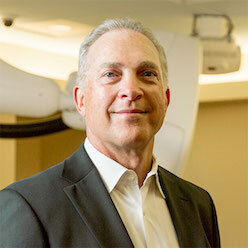 Dr. Sollaccio is board certified in Radiation Oncology. Experienced in all areas of oncology, Dr. Sollaccio special interests include breast cancer, brain tumors, prostate cancer, lung cancer, cervical cancer, and endometrial cancer. Dr. Sollaccio is passionate about clinical care, fly fishing, downhill skiing, and outdoor Alaskan adventures. Transitional Internship: Walter Reed Army Medical Center, Washington, D.C. Servicing multiple locations throughout Alaska. Dr. Halligan has been active in academic and clinical cancer care for more than 20 years. Prior to his retiring from the United States Army as a Colonel and moving to Alaska in 2008, he served as the Assistant Chief of Radiation Oncology at Walter Reed Army Medical Center and Chief of Radiation Oncology at Madigan Army Medical Center in Washington. He currently serves as the Medical Director of Radiation Oncology at Providence Alaska Medical Center and Medical Director of Peninsula Radiation Oncology Center. 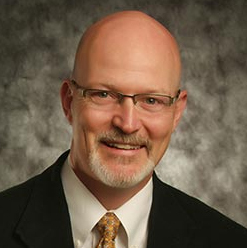 Dr. Magnuson is Board Certified in Radiation Oncology. 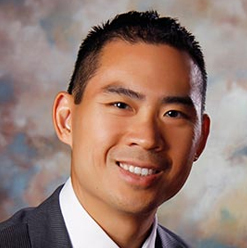 After completing medical school, he completed his residency in Radiation Oncology at the University of Wisconsin. Dr. Magnuson then completed a fellowship in Stereotactic Radiosurgery and Stereotactic Body Radiotherapy at Yale University. While at Yale, he performed over 300 cases of radiosurgery, wrote research protocols and published numerous articles in peer reviewed journals. Dr. Magnuson has published extensively in the literature, with publications pertaining to stereotactic radiosurgery, brain metastases, primary CNS malignancies, head and neck cancer, skin cancer, gynecologic malignancies and gastrointestinal cancers. Now that he has completed his training, Dr. Magnuson feels very blessed to return home and provide the highest level of care for his fellow Alaskans. ANCHORAGE ASSOCIATES IN RADIATION MEDICINE WELCOMES WILLIAM MAGNUSON M.D. The physicians of Anchorage Associates in Radiation Medicine (AARM) are pleased to announce the addition of William Magnuson, M.D., another board certified radiation oncologist, to their practice. 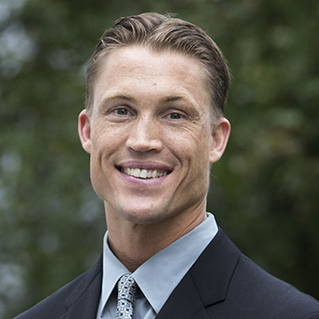 Dr. Magnuson was born and raised in the Anchorage area prior to moving to Ann Arbor, Michigan for his senior year of high school to play hockey for the United States Under-18 National Team. He received his first undergraduate degree at Lake Superior State University, where he played Division I hockey and was drafted by the Colorado Avalanche of the National Hockey League. After graduation, he attended their NHL training camp and was offered a contract, though chose to pursue a career as an oncologist. 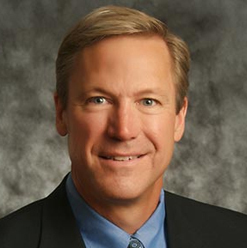 Dr. Magnuson then returned to Anchorage and received a second undergraduate degree from the University of Alaska – Anchorage prior to matriculating to Saint Louis University for medical school. After receiving his Medical Doctorate, Dr. Magnuson completed his residency in Radiation Oncology at the University of Wisconsin. In addition to completing his residency training, he performed over 250 brachytherapy cases and served as Chief Resident. Dr. Magnuson then completed a Stereotactic Radiosurgery (SRS) and Stereotactic Body Radiotherapy (SBRT) fellowship at Yale University, utilizing the renowned CyberKnife system. During his fellowship, he logged over 300 radiosurgery cases, including brain and spine SRS, as well as liver, lung, and prostate SBRT. Dr. Magnuson has also published numerous research papers in peer-reviewed journals on the treatment of brain metastases as well as the management of central nervous system, head and neck, skin, gynecologic, and gastrointestinal malignancies. The physicians of Anchorage Associates in Radiation Medicine include Drs. Halligan and Magnuson, as well as board certified radiation oncologists Jamie Blom, M.D., Clare Bertucio, M.D., and Eugene Huang, M.D… The group provides radiation oncology treatments across the state of Alaska, including the Providence Cancer Center and the Alaska CyberKnife Center at Providence Cancer Center in Anchorage, Peninsula Radiation Oncology Center in Soldotna, and Southeast Radiation Oncology Center in Juneau. Their newest center, Mat-Su Valley Comprehensive Cancer Center, will open in Palmer later this year. For more information, please visit AlaskaCyberknife.com or AlaskaCancerClinics.com. Copyright Mat-Su Valley 2019. All Rights Reserved.